It’s a painful, often limiting disease resulting from wear and tear on joints. 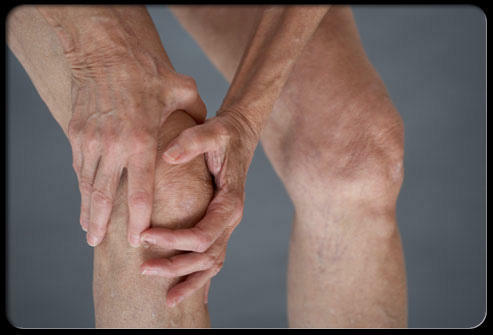 Osteoarthritis in some form will affect one in two Americans in their lifetime. About 27-million adults have it now. In a KERA Health Checkup, orthopedic surgeon Dr. Bruce Bollinger talks about treatments and describes osteoarthritis. Dr. Bollinger: Damage occurs to the joint surfaces which are supposed to be nice and smooth and slick, and as a result of disease processes or trauma the cartilage, the smooth surfaces deteriorate and start getting rough. Then you start experiencing pain, swelling, disability. Baker: How much of it though is a result of just plain aging? Dr. Bollinger: It’s multi-factoral. What you did when you were young, activities you were doing when you were young, they might have predisposed you. Then there’s genetics also. But yes, the older you are, life’s experiences have put you at greater risk that you’re going to be developing osteoarthritis. Baker: How can you guard against it? Dr. Bollinger: Doing those things that are more joint-friendly. We all have to walk, so walking is a good activity; swimming, cycling. Those are ways to get a good cardio workout also. Baker: My understanding though is there is no cure for this? Dr. Bollinger: No. Once you start developing damage to your joints it’s a process that’s going to continue. Baker: What are the symptoms? Dr. Bollinger: A lot of pain, swelling, inability to do activities as a result of the pain and swelling. Stiffness. You know it if you have it. Baker: So what treatments should a person be trying? Dr. Bollinger: I usually tell patients, let’s try modifying your activities. If there’s a specific activity that you found, like sports, if you play basketball when you’re younger, well, maybe you’ve got to shift to just a different type of activity. Behavior modification, activity modification. Changing your expectations, weight reduction. And then we get into, I guess under medical guides, you get into non-steroidal anti-inflammatories, you can get into medications that might help reduce your symptoms of joint pain and swelling. Baker: Are we talking about prescriptions? Dr. Bollinger: There are a lot of over the counter into non-steroidal anti-inflammatories – Advil, Aleve, – but there are still risks of side effects with those. So even the over the counters should be taken judiciously or maybe at least consult your physicians before you might start some of the over-the-counter medications. Baker: Basically are we talking about a case of pain management here? Dr. Bollinger: It’s not just pain management, but certain medications can get to the root of the problem, which at the level of the joint, would be the inflammation swelling of the joint lining because of the arthritis. If you affect that, you can affect pain reduction also. So it is a form of pain management but then you’re still even more when it comes to the osteoarthritis besides just pain mgmt that you can do to help. Baker: At what point then is a joint replacement? Dr. Bollinger: Well, you do A, B, and C before you jump to D. Patients may be candidates for injections that can be done in the joints with your physician that can help reduce your symptoms. Arthroscopy, although there’s a lot of controversy as to how much arthroscopy; the fiberoptic exams of the joints, where you can go in and clean up the joints – for damaged supporting structures inside the knee its very successful. There’s concern that arthroscopy is not as successful for just the arthritis aspect of it but most arthritic knees have other pathologies also that may be able to be addressed arthroscopically and help reduce the aches and pains and disabilities associated with osteoarthritis. But once you reach a point where all that has failed to provide adequate relief or improved function, reduce disability, then you’re getting to a point that you consider your joint replacements. Dr. Bruce Bollinger is an orthopedic surgeon in Fort Worth. In the next Health Checkup, Dr. Bollinger discusses joint replacements and a new custom-fit approach for creating implants.